"Alzheimer" finalist in the 2nd Charles Dodgson Black & White Award. 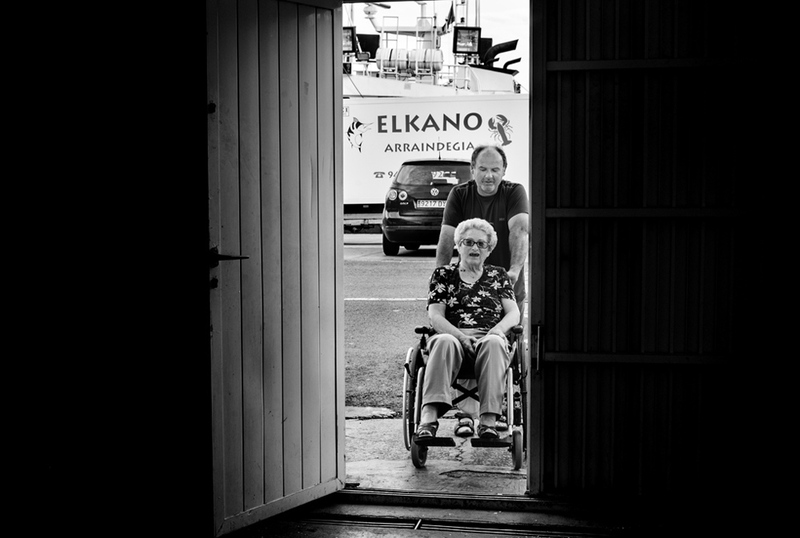 “Alzheimer" finalist in the 2nd edition of the Charles Dodgson Black & White Award (People, Culture and Daily Life category). 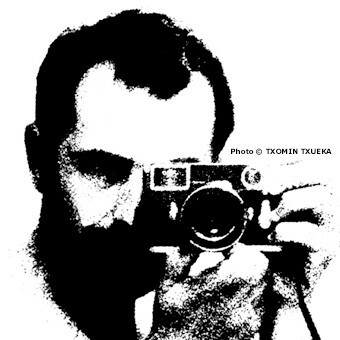 Txomin Txueka News "Alzheimer" finalist in the 2nd Charles Dodgson Black & White Award. "Alzheimer" receives Bronze in the Tokyo International Foto Awards 2017. By Txomin Txueka — "Alzheimer" wins Bronze in the TIFA-Tokyo International Foto Awards 2017 (Professional: Portfolio, Personal series category). ..
"Gourougou" receives Honorable Mention in the International Photographer of the Year 2017. By Txomin Txueka — "Gourougou" wins Honorable Mention in the IPOTY-International Photographer of the Year 2017 (Professional: Editorial, Documentary series..
"The Syrian Conflict: Living in Aleppo, Syria" finalist in the ONE EYELAND Photography Awards 2017. By Txomin Txueka — "The Syrian Conflict: Living in Aleppo, Syria" finalist in the ONE EYELAND Photography Awards 2017 ((Professional: Editorial / War series..
"Gourougou" receives Honorable Mention in the Monochrome Awards 2017. By Txomin Txueka — "Gourougou" wins an Honorable Mentions in the Monochrome Photography Awards 2017 (Professional: Photojournalism category). ..
"Miners-Potosi, Bolivia" receives 3rd Place-Bronze Star Award in the ND Photography Awards 2017. By Txomin Txueka — "Miners-Potosi, Bolivia" wins 3rd Place-Bronze Star Award in the ND-Neutral Density Photography Awards 2017 (Professional Special: Street..
“Gourougou” receives Honorable Mention & 2 Nominees in the Black & White Spider Awards 2017. By Txomin Txueka — “Gourougou” wins Honorable Mention & 2 Nominees in the 12th Annual Black & White Spider Awards (Professional: Photojournalism..
"Gourougou" selected finalist in the 2017 CRITICAL MASS TOP 200. "The Syrian Conflict: Living in Aleppo, Syria" receives Bronze Winner & Honorable Mention in the PX3-Prix de la Photographie Paris. By Txomin Txueka — "The Syrian Conflict: Living in Aleppo, Syria" wins Bronze & Honorable Mention (Professional: Press / War series category) in the PX3-Prix de la..
"ILLIMANI: Boliviako izpiak eta hizkiak" photobook selected for exhibition in Athens Photo Festival 2017. By Txomin Txueka — “ILLIMANI: Boliviako izpiak eta hizkiak” selected for inclusion in the PhotoBookAthens exhibition, which will be held from 12 June to 30 July..
"Syrian conflict" selected in the 9th Anniversary Issue of Fraction Magazine. By Txomin Txueka — "Syrian conflict" selected in the 9th Anniversary / Issue 98 of Fraction Magazine. http://www.fractionmagazine.com/98-2 98 - 2 Photographs..
"80 years later, the Nazi war crime at Guernica still matters" by Ishaan Tharoor / The Washington Post. By Txomin Txueka — As a Basque citizen, with all humility and respect, I thank the journalist Ishaan Tharoor for his analysis article "80 years later, the Nazi war..
"Gourougou" receives Honorable Mention in the IPA One-Shot: Climate Change. By Txomin Txueka — "Gourougou" wins an Honorable Mention in the International Photography Awards, One-Shot: Climate Change (Professional-Water category). ..
"Gourougou" nominee in the 10th International Color Awards. "Syrian conflict" finalist in the 5th Jacob Riis Documentary Award. "Syrian conflict" receives Honorable Mention in the International Photographer of the Year 2016. By Txomin Txueka — "Syrian conflict" wins Honorable Mention in the IPOTY-International Photographer of the Year 2016 (Professional: Editorial, Photo Essay / Story..
"Syrian conflict" winner in 1st 2017 ArtSlant Prize Showcase. "Syrian fighter" receives Honorable Mention in the Monochrome Awards 2016. "Living in Aleppo, Syria" receives Honorable Mention in the London International Creative Competition 2016. By Txomin Txueka — "Living in Aleppo, Syria" wins an Honorable Mention in the 2016 LICC-London International Creative Competition (Professional Photography series..
"Living in Aleppo, Syria" receives Bronze in the Tokyo International Foto Awards 2016. "Fighters - Aleppo, Syria" receives Honorable Mention in the ND Photography Awards 2016. By Txomin Txueka — "Fighters - Aleppo, Syria" wins Honorable Mention in the ND-Neutral Density Photography Awards 2016 (Professional: Editorial, General News..
"Gourougou" finalist in the 9th edition of the Pollux Awards. "Syrian conflict" receives Honorable Mention & 2 Nominees in the Black & White Spider Awards 2016. By Txomin Txueka — "Syrian conflict" wins Honorable Mention & 2 Nominees in the 11th Annual Black & White Spider Awards (Professional: Photojournalism..
"Alzheimer & Syrian conflict" in Berlin Foto Biennale 2016. By Txomin Txueka — "Alzheimer & Syrian conflict", two representative photos of those projects are exhibited at the 4th Biennial of Fine Arts and Documentary..
"Syrian refugee immigrant" receives Honorable Mention in the International Photography Awards 2016. "Syrian conflict" receives Honorable Mention in the International Photography Awards 2016. "Alzheimer" selected winner in the LAF5-Latin American Fotografia 5. By Txomin Txueka — "Alzheimer" selected to be part of the LAF5-Latin American Fotografia 5 winning collection. ..
"Alzheimer" receives Honorable Mention in the International Photography Awards. "Gourougou" receives Honorable Mention in Moscow International Foto Awards 2016. By Txomin Txueka — "Gourougou" wins an Honorable Mention in the MIFA-Moscow International Foto Awards 2016 (Professional: Editorial, General News series..
"Azheimer & Syrian fighters" receives 2 Nominees in the Fine Art Photography Awards 2016. By Txomin Txueka — "Alzheimer & Syrian fighters" wins 2 Nominees in the 2nd edition FAPA-Fine Art Photography Awards (Professional-People & Photojournalism series..
"Gourougou" presented at the opening of the Kolga Tbilisi Photo Festival 2016. By Txomin Txueka — "Gourougou" pictures shortlisted in the Mobile One Shot category, presented at the opening of the Kolga Tbilisi Photo 2016 and will be included in..